Like clerical garb, there are regulations and legislation that have stood still within the ecclesiastical institution over the course of history. Many of them remain untouched by time but nevertheless remain, even if they are outside their original framework and the circumstances that brought them about. They continue to be transmitted for reasons that sometimes appear comprehensible and sometimes obscure, sometimes conventional and sometimes arbitrary. In addition to clerical garb, regulations and legislation, there also remains suspended in the ecclesiastical institution heavy solid deposits resulting from crises of a worldly nature that the Church has suffered in the past and which until today continue to cast their shadow over her. Indeed, the Church and the truth of the Gospel have largely become captive to them and chained by them, sometimes in a tragic manner. Among these crises, two have restricted the Church’s movement, distorted her, created within her an abhorrent duplicity and to a significant degree hindered her from existing within the sphere of living spiritual theology and preaching the Gospel throughout the world (Matthew 28:19-20). By this I am referring to the crisis of racism and the crisis of Constantinople. 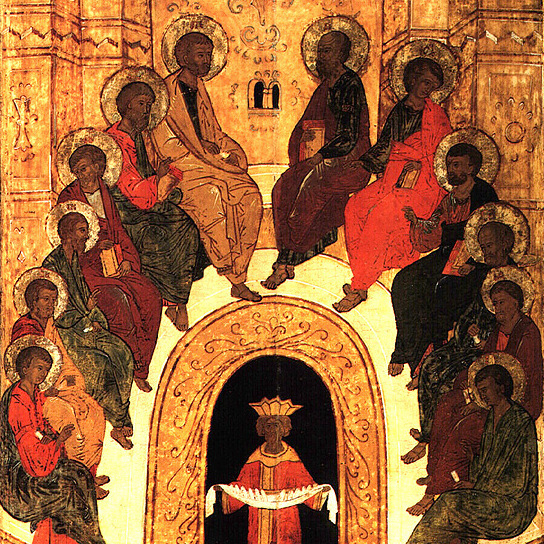 In principle, the Lord Jesus put an end to racial disputes within the Church. The words of the Apostle Paul to the Romans are clear: “There is no distinction between Jew and Greek because there is one Lord for all” (Romans 10:12). The Byzantine Empire was based on the true faith, citizenship, and equality of rights and responsibilities. This, of course, was at the height of its flourishing. There was no racial distinction between Greek, Armenian, Arab, Syrian, Goth and Gaul… all were Romans. Marriage between people of different races was normal. Mixing between races in the army and administration was an ordinary thing. The emperors were from various racial backgrounds. When the spirit of truth diminished in people’s hearts and Western influence took root– especially in the ranks of the intellectual elite, the centralization of the state was weakened, corruption spread in the administration, the economy was subjected to privatization and thus domestic production stagnated, with dangerous setbacks resulting from this, feudalism flourished, separatist and isolationist tendencies grew, internal conflicts broke out, fragmenting and weakening the state and so its prestige was shaken, the spirit of racism gained strength and ethnic groups entered into disharmony and struggle. As the external threat to the empire increased, politicians pressured the Church to bow to the papacy and Catholicism as a means of securing military support from the West and there were two relapses that had the greatest impact on believers and their dedication to preserving the truth faith: the first at Leon (1274) and the second at Ferrara/Florence (1439). It is true that Orthodoxy stood firm in faith, but the spirit of failure, lethargy and decline spread among the people. As a result of this, internal fragmentation picked up pace within the empire and racism played a wicked role in this. Finally, Mehmed II Fetih was able, at the age of twenty-one, to enter Constantinople with ease on April 29, 1453. The West didn’t care about this event. For years, its concern had been to absorb the weakened empire’s energies and the Catholics’ concern was to gain control over Orthodoxy. Little by little, Constantinople transformed into a corpse. And where the corpse is, there the vultures will gather! In this, there is no difference between the Ottomans and the West. This is with regard to the racism that grew because of the empire’s weakness and contributed to undermining its remaining foundations. As for the crisis of Constantinople, there is no doubt that following the fall of the imperial city, the Church in her entirety suffered and continues to suffer from an ongoing psychological complex with regard to the Byzantine Empire! In what sense? In the sense that here and there, she betrays a profound conviction or submission– out of fear of internal strife or schism in the Church– to the delusional hypothetical case that the empire, with all its weight and glory, continues to exist ecclesiastically without any clear boundaries between what belongs to God and what belongs to Caesar, until it returns (even if this is after some time). This is something expressed in special scenarios and prophecies that many people repeat. Even 565 years after the fall of Constantinople, Byzantium is still alive, active and influential in the souls of many– and not only in its virtues, but also in its vices! Nothing is more indicative of this than the words of the Patriarch of Constantinople at the recent synaxis of bishops of the Patriarchate of Constantinople (August 31 to September 4, 2018). “The Ecumenical Patriarchate,” he said, “is for Orthodoxy, a ‘leaven which leavens the whole lump’ (cf. Galatians 5:9) of the Church and of history…” I beg the reader’s pardon, so he does not misunderstand what I am saying. God forbid that I be in a position of singling out the Ecumenical Patriarch or any other person near or far. In this essay, I am dealing with a widespread psychological phenomenon which, it is my conviction, has the ugliest influence on the Church, her vivacity, her transparency and her witness. Here in the patriarch’s words is a blatant expropriation on the part of the ecclesiastical institution of the Spirit of the Lord’s work in the Church and in history. For the institution of the patriarchate to presume in this way, with arrogance surpassing every limit, is alien to the spirit of the Gospel. Without any significant Orthodox population on its territory, it claims authority over the diaspora, relying on a canon (28 of the Fourth Ecumenical Council at Chalcedon in 451) that stipulates that “the Dioceses aforesaid as are among the barbarians, should be ordained by the aforesaid most holy throne of the most holy Church of Constantinople.” For a patriarchate that is in a state of extinction to presume to imagine that it is the leaven of the Church and of history, as though it were at the height of the empire and has authority over the “Orthodox of the diaspora” as though they were “barbarians” is to plumb the depths of a historic insanity that has no connection whatsoever either to the truth of the Gospel or to holy tradition, which itself is not the work of people, but the work of the Holy Spirit in people at every time! In this way, we find the local ecclesiastical institution weighed down with historical burdens and cares that have been passed down from generation to generation. Our positions with regard to them range from total acceptance, as though they are a sacred heritage, to a profound sense of their illegitimacy, but at the same time also of an inability to effect real change with regard to them. The problem of Ukraine– the state and the church– between the Patriarchate of Constantinople and the Patriarchate of Moscow is the outcome of historical data, accumulations, sensitivities, errors and contradictions that make the conflict raging at present not only exceedingly complicated but also having a psychological character open to all clashes of personality, politics and temperament, that deep down has no connection to the Gospel, theology or ecclesiastical law, even if the sides attempt to use ecclesiastical, pastoral and spiritual issues as a cover. In many places, the Church’s position has not gone beyond managing a crisis that has grown to the point of casting its dark shadow upon our generation of those who oversee the ecclesiastical institution and through them upon the entire Church today. From another angle, in his letter to Victor of Rome, Irenaeus pointed out Victor’s predecessors who had dealt with the disagreement in a spirit of peace. Among them were Anicetus, Pius, Hyginus, Telesphorus and Xystus. With regard to Saint Anicetus, who was from Homs in Syria, Saint Irenaeus explains how he and Saint Polycarp of Smyrna did not agree about this issue, but they did not quarrel, instead they both maintained their respective customs and Saint Anicetus “conceded the administration of the eucharist in the church to Polycarp” as a sign of respect for him. In the words of Saint Irenaeus, “they parted from each other in peace, both those who observed [one custom or another], and those who did not, maintaining the peace of the whole church.” If we have inherited a problem, we cannot turn it into a sin that we commit, for which the entire Church pays dearly! Squandering the spirit of peace and concord is a terrible thing in the Church! The Orthodox world today stands before a great challenge: either it preserves the spirit of peace and unity in the Church or it squanders them with its wordiness, laxity, carelessness, obsequiousness, narrow calculations and its being dragged along, wittingly or unwittingly, behind those who seek to fragment Orthodoxy, and how many of them there are today! There is a sacrifice that God does not want. When Cain was very and his countenance fell, the Lord God said to him, “If you do well, will you not be accepted? And if you do not do well, sin lies at the door. And its desire is for you, but you should rule over it” (Genesis 4:7). This is the Lord’s warning: “Simon, Simon! Indeed, Satan has asked for you, that he may sift you as wheat. But I have prayed for you, that your faith should not fail; and when you have returned to Me, strengthen your brethren” (Luke 22:31-32). Let us not participate in the sins of others!